Janhvi added that she was looking forward to seeing Sara, Ananya and Tara perform onscreen. The fact was that she has interacted with Sara and Ananya helped and she knew they were “wonderful people”. Bollywood star-kid Janhvi Kapoor made her debut with Shashank Khaitan’s Dhadak starring opposite Ishaan Khatter. The film was helmed by Karan Johar. 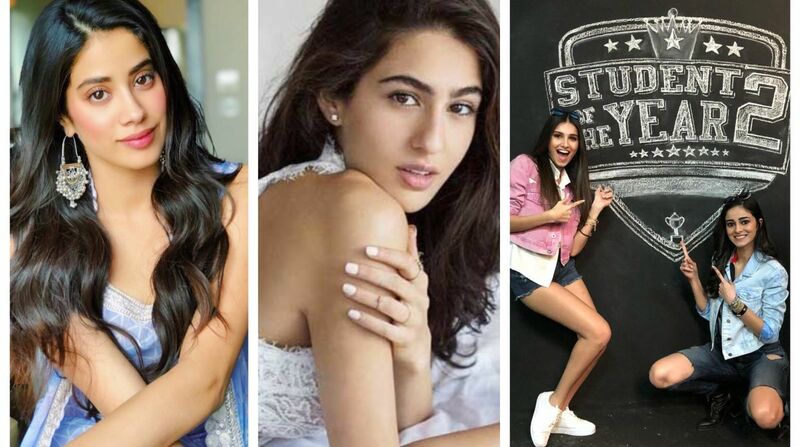 The industry and fans are now awaiting the release of upcoming films starring debutante actresses Sara Ali Khan, Ananya Pandey and Tara Sutaria. Janhvi was recently asked about the competition she will be facing from the other newcomers, and her reply was quite a mature one. “I don’t know why everyone is pitting us against each other. I guess people enjoy doing that. Competition is a bad thing if you make it sound that way,” she told DNA. She even said it was not fair to ask women alone about competition from their contemporaries. Why was it that only she was being asked this question and not Ishaan? She also mentioned that competition wasn’t as a bad thing as people made it sound to be. Janhvi said Sara and Ananya even spoke to her after the promos of Dhadak were out. Sara Ali Khan will be making her debut on silver screen with Abhishek Kapoor’s Kedarnath opposite Sushant Singh Rajput. She also has Rohit Shetty’s Simmba in her kitty. Ananya and Tara will debut with Karan Johar’s Student of the Year 2.